The land of Europe has partook in her share of conflict though on the surface the lines are clearly drawn and the adversary patently defined as an enemy nation. Yet these sharp lines of strategy are instantly complicated by the Jewish element. It is in his very vocal wail of his apparent ‘diaspora’ that the nature of the Jew is revealed. The wandering or nomadic Jew perhaps meant to evoke sympathy for his supposed homelessness only exposes his international strategy. Gerald Soman, a prominent Jew disclosed that “we are Jews first, we are Englishmen second. Any Jew that professes to be a good Englishman is a living lie,” confirming a profound lack of loyalty to the nation providing residence. The international Jew also has a global language in which to conduct his business-Yiddish and takes advantage of the communication difficulties deriving from the perfusion of languages across Europe. Already the ‘pogrom’ has been established as a fabricated word invented by the Jew to impose their interpretation on periods of unrest in Eastern Europe and represents one of the most ambitious propaganda campaigns within the Jewish narrative. It is the period after 1917 as ethnic Europeans resist the annexation of their land that deserves particular scrutiny. Here the Jewish narrative paints a scene similar to that of the European battle field, a fair fight between equally matched combatants the Red army and the White army with one distinct exception-the poor Jew trapped in between. Again the notion of the ‘pogrom‘ emerges as atrocities typically instigated by Europeans against Jews are highlighted. That the term ‘pogrom‘ is used should already alert one to the fact that the Jewish propaganda machine is in full swing. 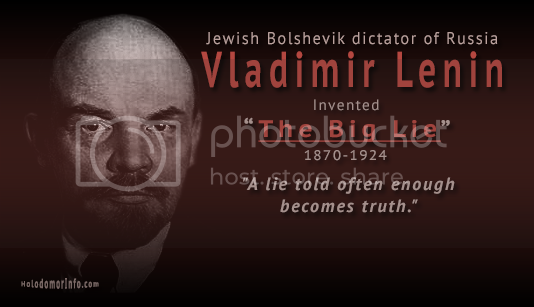 In reality Jewish terrorists had been actively subverting the Russian political landscape for decades with numerous political assassinations and attempted assassinations (The most prominent being the Jew Vera Figner who assassinated Alexander II in 1881 and in 1887 Aleksandr Ulyanov, the older brother of the Jewish Bolshevik Vladimir Lenin who organized an assassination attempt on Alexander III.) These same Jewish terrorists took advantage of the ‘upheaval’ of WWI to seize control. 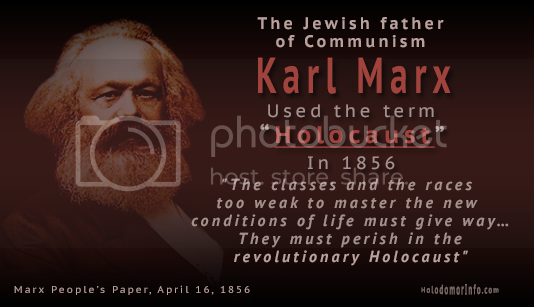 Bolshevism is a Jewish faction merely the Jew Karl Marx’s weapon of Communism concealed under another name. It is here that international Jewish intervention is necessary for as Jews in Eastern Europe are committing genocide against the native European inhabitants the Jewish tribe required a cover story or else his image as the eternal victim will collapse. Thus the tried and tested sob story of the ‘pogrom’ is issued to the European mass portraying the Jew as the helpless victim rather than the subversive malevolent usurper. Incidentally, it cannot be a coincidence that Trotsky arrived in New York on January 28th, 1905 under the name ‘Irska’ Bronstein right in the middle of the Russo-Japanese War (8th February 1904 – 5th September 1905). 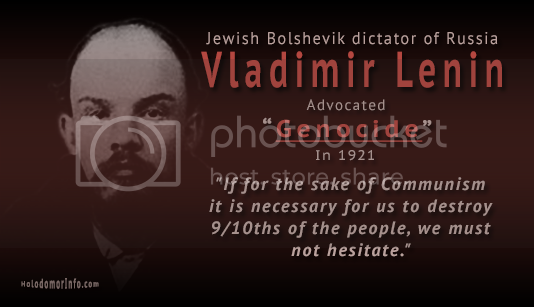 Jewish banker Jacob Schiff located in New York funded the Japanese against Russia and it is likely that it is he whom Trotsky was going to visit. Schiff is again linked to Trotsky as the financier behind the seizure of Russia in 1917. 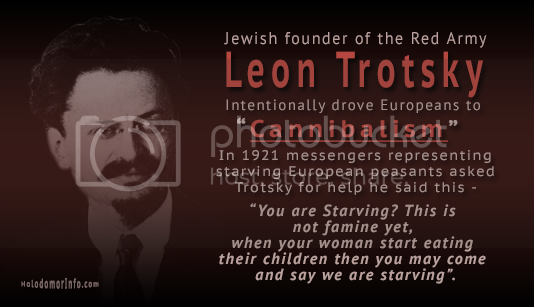 Trotsky was arrested tried and convicted for involvement in terrorist activity surrounding the destabilisation and attempted Bolshevik seizure of Russia in 1905. It is critical to note here the comparative circumstances between 1905 and 1917-the ravages of war-that the Jew took advantage of. Equally Jewish banker Schiff financed both efforts and Jewish political subversion and terrorist activity combined to sabotage Russia. Following this failure to secure Russia in 1908 the Jew Count Alois Lexa von Aehrenthal secretly engineered an agreement between Austria and Russia for Austria to annex Bosnia Herzegovina. Bosnia was Serbian territory at this time and this was to instigate the Bosnian crisis destabilising that whole area of Europe, thus fracturing Europe’s exposed and delicate treaty system directly leading to World War I. Naturally predicting ‘great world upheaval’ at the Zionist Congress in 1903 must have been simple for Jew Theodor Herzl when one’s own tribe would have a hand in it. 1917 was also the year that Arthur James Balfour produced the declaration made to the Jew Lord Rothschild acknowledging Jewish separatism and confirming that the government in Britain is occupied by a 5th column that serves its own interests. The letter to Rothschild advised that the British government viewed with favour the occupation of Palestine by the Jews. However, for the materialisation of Jewish inhabitation world sympathy for their fictitious ‘plight’ must be gained. The English edition of Mein Kampf was still in the process of printing and publication when international Jewry declared war on National Socialism, and started an intensive blockade against Germany in 1933. All that was needed was a pretext to mobilise an army against Germany and this came in 1939. Britain had no justification for its involvement in a German-Polish border dispute it was merely used as a ruse to declare war against Germany. It is now known that the situation between Germany and Poland (ethnic Germans were terribly maltreated behind borders redefined by Versailles) was exacerbated by the so called ‘British’ (Jewish) government promise of military aid to Poland. 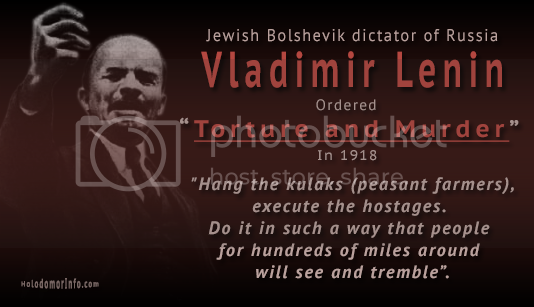 With war declared international Jewry constructed the Holocaust myth which not only deviously concealed the atrocities of Jewish Bolshevism against ethnic Europeans (the Holodomor genocides 16.5 million Europeans murdered) but gained mass sympathy and support for their second land seizure. It was post WWII that the Balfour Declaration proved most valuable to the ‘chosen tribe’ for it was at this point that they pursued the notion of a people without a land. The concept is of course absurd since the Jew applies to its people the word Semite and that race has long existed in the Middle East. To conclude it is clear that the Jew is the malevolent entity. The Jewish terrorist, an alien parasite, for decades subverted Aryan land from within. It attacks with intent to size control and does at the first opportunity. 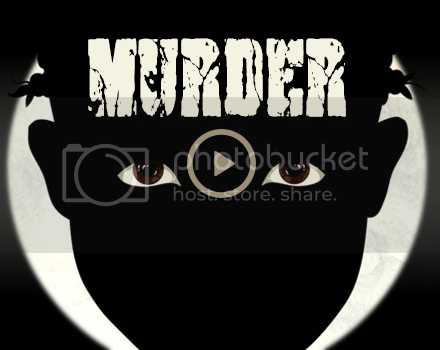 Under the cover of war the Jewish faction captures Russia. Under normal circumstances ANY retaliation against the Jew is acceptable because they are the obvious enemy. However, the psychology that the international Jew employs fools the European mass into believing that the host is attacked by an external enemy of equal strength. Jewish propaganda sites 3 unique parties the host, his enemy and the poor Jew trapped in the middle. In reality there are only 2 factions for the host nation is under continuous attack from the Jew within. Finally the Jew within seizes the host nation and the threat to their power is the indigenous inhabitants. Jews have no loyalty to their hosts… They are only loyal to themselves… And they hate all of us.